When you are studying in college or university, you have to write a research paper because it is an integral part of the curriculum. Generally, while preparing this academic work, you will do research on the various technical, scientific or social aspects of some phenomenon and then organize the obtained information. It is not easy. If you have never faced this type of academic writing before, the task may seem complicated or even impractical. What makes it difficult? There are many pitfalls that make the process harder and in fact, the majority get stuck on the first stage – choosing the right research paper topics. Others simply can’t write the work on their own. Luckily, there is a simple solution for the second issue as there’re many different professional services that will help you with your paper all you need is to ask to “write my research paper”. It can be a good choice for some of you. However, this task is not as difficult as it looks like if you know what it is all about! You can easily accomplish writing a research paper on your own by following the tips that we provide on our website. There are a few types of research articles. However, the objectives of this task are always similar – it is a piece, scientific in nature that is related to scientific research. Experiments aimed at improving and acquiring new knowledge, testing scientific hypotheses, the establishment of laws that are manifested in nature and in society, scientific generalizations, and scientific confirmation of projects. What does it consist of? The whole paper is based on your own experience and thoughts that you write using the analysis of the topic you knew before and the data that you acquired. Students tend to not like such types of papers. It requires spending much time on researching, making reports, and analyzing data. It’s a very important type of the paper because it teaches students how to do research properly and helps them gain some vital skills. There are a few main types of research papers. Each of them requires a special approach that you should mark while preparing to write it. 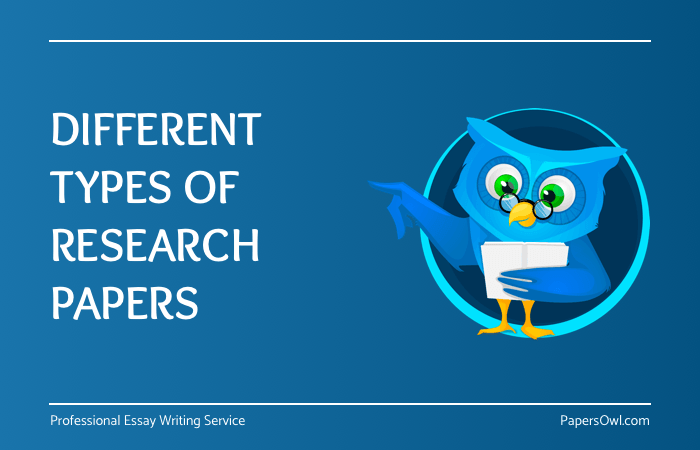 We will try to walk you through every single type of research paper in order to help you better understand them and the differences between them. Argumentative: While writing argumentative papers, you need to focus the reader’s attention on the arguments that relate to your main topic. You have to support your point of view with evidence from primary sources. In spite of the simplicity, at first sight, it will all depend on the task that the teacher will give to you and you have to follow some standard steps for writing your argumentative paper by the right structure. Analytical: This term can confuse you with its name but if you learn a little more about this type of work you will understand that there is nothing to worry about. It is not that complex! An analytical article is a piece of your work that provides an informal analysis about a topic or idea, for example, your main topic is deforestation – obviously, such theme is too general because there are many things to talk about (from the damage it brings to the different solutions). Thus, the analytical essay asks you to use critical thinking and strong arguments! Definition: it requires you to provide only bare objective arguments and facts without using personal opinion. It is the most informative kind of text. Although, definition papers include facts from different sources, such types of academic papers only reflect the findings of other researches. Compare and contrast: this one is needed to analyze the differences between two subjects, authors, viewpoints, leadership styles, or other criteria and it is a common assignment for subjects such as literature, Philosophy, social science, and many others. Regardless of the subject, it usually has the same construction. Cause and effect: these compositions are usually used to track the expected results from some action in a logical progression that must be clear and understandable for the reader. We can use this method in business and education fields. This method not only outlines the predicted results but identifies several different results that could appear depending on the specific conditions. Reports: it outlines the case of a study situation. As a rule, such text includes the summary of a breakdown, situation, identification of the main issue, and recommendations, which means that it is basically a logical and detailed summary of some case study situation. An interpretive essay: is assigned in social science and literature. This task requires a student to use the knowledge that he or she has gained from the particular case study situation, for example, a poem or work of art, material from business and psychology fields. This paper requires using learned theoretical knowledge to write the paper and using supporting information for the thesis statement and findings. Above we provided the seven main categories of research papers. You could also find some brief information about each of them. We hope this information was useful for you and can help you cope with your assignments because accomplishing this kind of project is important for your overall academic success! It can appear like a complex task. There are too many nuances to keep in mind and apart from following the requirements of a particular project type, you also have to follow the right structure and format. Therefore, if you still think that it’s quite hard to cope with this task on your own, we recommend you consider hiring a term papers writing service that will complete the work for you.